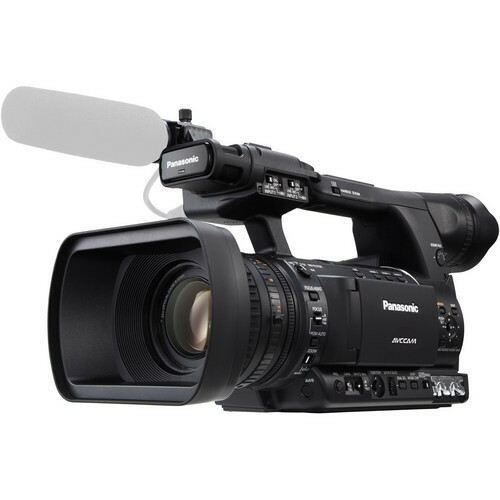 The Panasonic AG-AC130 PAL AVCCAM HD Handheld Camcorder is a high-definition workhorse of a professional handheld camcorder. With an integrated 22x zoom lens and a 1/3-type 3MOS three-element imager, the camera captures AVCHD video to two SD/SDHC/SDXC card slots as 1080p30, 1080i60, filmic 1080p24, and 720p60. Panasonic's professional-level PH implementation of AVCHD is the top-quality choice at a max rate of 24 Mb/s; several other data rates will conserve card space as you capture hours of HD video. For projects that require standard-def capture, the AC130 has you covered with DV recording, which can then be output via its 6-pin IEEE 1394 (FireWire) port. Box Dimensions (LxWxH) 18.9 x 14.1 x 11.5"